Club Penguin Cheats by Mimo777 Club Penguin Cheats by Mimo777: Club Penguin Series 10 Plush Toys! Woot! I have been waiting ever since the Series 10 Treasure Book came out, but finally Club Penguin has released some new plush toys. What do you think of these super cool new plushies? Gotta love Dot and the Fire Ninja, right? And, that Christmas Tree sure is phunnie! There are seven new plush toys in all! You can check them out here! Awesome! 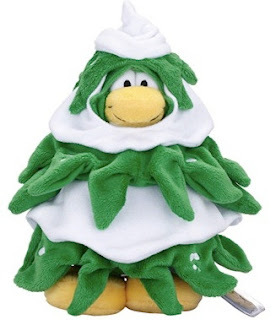 I bet lots of kids are going to get the Tree Penguin for Christmas. OOOHHHH!! I wanna get one so bad!! The new toys are cool! My favourite is the tree penguin! There's a postcard that says 'Lets try yo tip the iceburg!' I think that means that it is possible. And maybe, it shows us how to do it. The new catalog is out. i need cheats. post about them please? The new toys are cool! I like the tree one! Hey there! Mimo has recently posted the cheats. Just scroll down on his website to see them! in club penguin i have done some info searching and it never rained there for 4 years so i think that G.G. will invent some kind of super dome around club penguin. because there might be a FLOOD!!!! but it might or might not be true. take my word for it mimo! there might be a FLOOD coming the club penguin!! and thats why it never rained there! I want the Fire Ninja and Herbert sooooo bad! 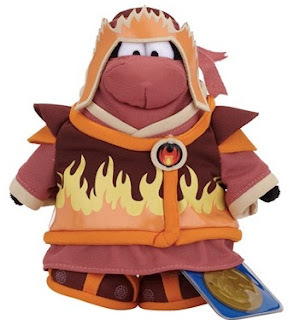 Why is it that the normal ninja plush has a very short forhead hidden under his over sized suit? Other famous person met billybob (logged in as disney test3) and billybob told him some facts, and eventually they came true. One said that Rockhopper would come back on May, and that happened. Other said that ninjas might come this November, and it came true. (This was about 2 years ago). He also said that it's possible to tip the iceberg but the room has to be full and EVERYONE should be on one side. Idk if that is true, but I do know that he said that. There is pictures with postcards proving that he was there. Hello, Anonymous! You can find the complete guide to November's catalog cheats some posts down. Maybe I'll get a Card-Jistu Water card deck with a golden card! I got one already. Same Here! I think I want the Fire Ninja one. Well, I think you are half right. It may be possible to tip the 'berg, but I gave one of my buddies one, and it doesn't say how. Mimo has already posted the cheats. To find them go down the blog a bit. I'm not sure about a flood but you never know! It will probably just be a normal rainy week or something like that but it triggers card jitsu water. Those are amazing. Too bad series 10 stinks. Awesome! Today i went to buy a plush and they had a huge santa,Rockhopper, Aunt Arctic and a Penguin in Pj's. They were like twice the size.I got the santa and you can unlock 3 items! It's possible but very unlikely. I may get herbert just to set him on fire. I wanna get Herbert and Christmas tree! scamper52596 ur right the christmas tree is probally everyones fav! Hello, Superpacman1! Dot the Disguise Gal is a member of the Elite Penguin Force (EPF for short). Her appearances are in Club Penguin: Elite Penguin Force for DS, Club Penguin: Herbert's Revenge for DS and in Mission 11 "The Veggie Villain" on Club Penguin online. LOL! You made me laugh a lot!! Set him on FIRE??? (Sorry for the caps) Are you seroise? That's wiatsting money! But still, I am not your boss. Do whatever you want. P.S. Hm. I think that is a good idea! To teach him a lesson! The Christmas tree is my favourite, it's cool! Dot is known as the disguise girl. She appears in mission 10 but mostly appears in the ds games. In the ds games she helps you train puffles. Mimo! have you seen the waterfall at the dojo lately? it looks like its flowing faster! Check it out! hey mimo wen u dance with all the tactical gear you roll! AHH!! OMG, I need to have Herbert and Dot! I already have the Secret Agent, bad news: costed me almost 3 times more. 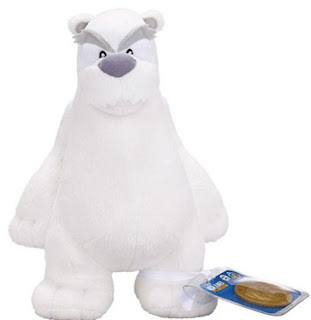 I feel like Im bad for wanting the herbert plushie but oh well it seems sweet! You will probably be able to order them from other places soon! Ive just found out about this! Its quite cool! The roll is cool! I like the christmas tree plush! Its cool! The Community Tree on the Mine shrank! The Penguin Art at the Book Room is gone! Buddytoe is awesome! He answered my question with a short, deatiled answer! You rock! When you go to the ski hill, when someone leaves the room their name flashes up in the top left corner of the screen, well the end of their name, pretty weird huh? Wow there are two reason (my suggestion) why should you do not do it. MIMO I JUST SAW A COMMERCIAL FOR A CP ICE HOCKEY RINK!!! 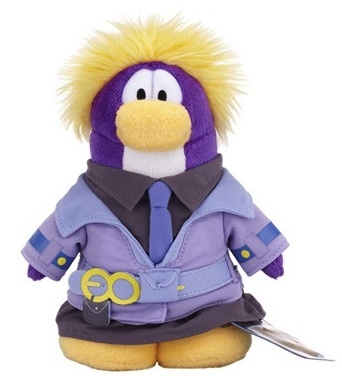 It showed the rink, a few puffle toys and plush penguins, and mix-n-match figurines!!! I saw it RIGHT NOW at 3:57pm!!!! EEP! Dot is actually a disguise girl. She only appear in the DS game and the last PSA mission, If you play the Nintendo DS one, Dot will help you and recruit you to the EPF. Oh, Mimo already posted that glitch but great finding. I am totally adding these to my X-Mas wishlist! Best toys yet! Aren't these toys exposing Herbert, Dot the Disguise Gal, but most importantly, A Christmas Tree!? Nah I'm kidding about the tree. But seriously, new penguins won't know anything about Dot until they get in the EPF. Aww I love the tree! Dot the disguise gal is an epf agent who was in the veggie villains mission and the two epf games. I like Dot in the EPF toy. I think it is cool!I need to have one of those toys to unlock items.I like all though.I really hope that other people like these toys!